Do you all remember how I used to cut my own hair? Oh my stars, I’d rather not reminisce about it too much. I was terribly unskilled at it. But hey, it saved a lot of money. Nine years later, I’m thankful to say that I’ve gotten professional help (in more ways than one). My hair now has actual layers that match on both sides. It curls nicely. It behaves most days. But what if it IS possible to cut your own hair and have it actually look nice when you’re done? What if?! Most of you know I’ve been working with Paula, a Lilla Rose consultant for many, many years. She’s the one who changed my life with Flexi-Clips! She has several daughters, all of whom have gorgeous hair. Without hesitation, I would call her a “Hair Expert” because she’s been working with and studying hair beautification for many, many years. So when she said, “Hey Laura! Did you know it’s possible to cut long layers in 5 minutes?” I definitely took notice. Un-be-liev-able! Where was this tutorial back in 2008 when I was struggling through my own pitiful haircuts for 2 hours at a time? I can’t believe how simple Paula makes this! 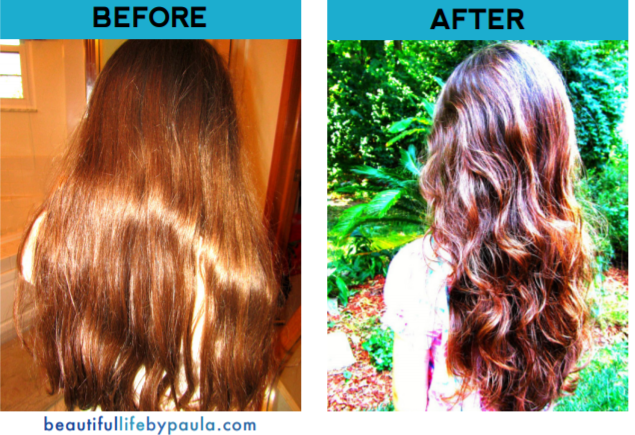 If you have anyone at all in your life with long hair, you must go download Paula’s Free Haircut Tutorial! Even if no one in your life has long hair and you will never cut anyone’s hair and everyone you live with is bald, you should check it out just to be as fascinated as I was! After you’ve picked up your freebie, then you must to sign up for this amazing giveaway Paula is offering. Truly, it is amazing. She has offered to give away not one but TEN Flexi-Clips! Eeeeeeee!! There will be ten winners of this giveaway, so your chances of winning are quite good. If you are one of the ten winners, you’ll get to choose any Flexi-Clip you want (up to $17 value). Isn’t this fun!! Go check out all the fun Flexi options and start drooling over what you’ll pick if you win. Sign up for this giveaway in the Rafflecopter below. I’ll draw 10 random winners on Tuesday, August 22! My husband usually trims the back of my hair for me, it is usually just a straight line. I think we are going to look this guide over together and give it a go. Thank you for sharing. Accidentally hit post prematurely, sorry! Anyway, this saved the day! I have fairly long, wavy hair and cut about 3″ off after washing and conditioning as instructed. It didn’t really take length off as much as simply bring the nice curls and waves back in and make the layers subtle and not choppy. I’m really impressed and will definitely be using this technique again. I wonder if she has any tips on feathering bangs in?…. :) Thank you! YES! Actually she’ll send a few follow up emails with more tutorials and bangs is one of them! Yay!!! I’m so happy that this worked for you, Amanda!!! Thanks for the chance to win! Would love to be one of them!